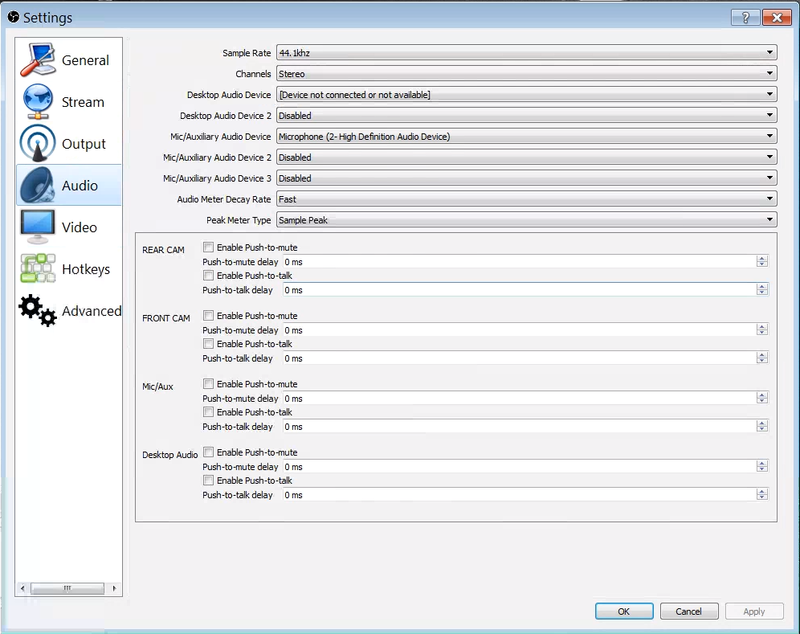 OBS automatically starts with all the previous settings. LIVE VIDEO (PREVIEW). 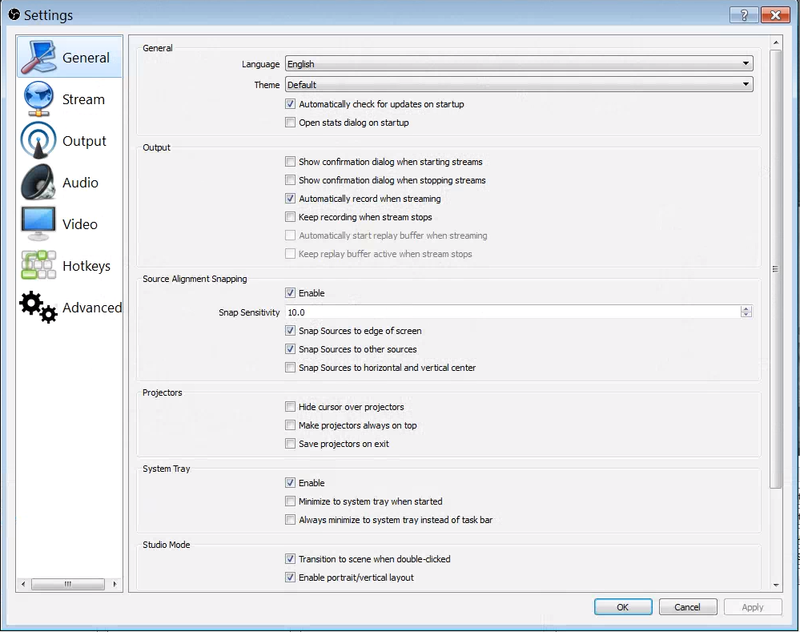 Right click on the top section of the screen to display the Preview dialog, then select Fullscreen Projector (Preview) > Display 1 to sends live video to other video screens in the building (Display 1 is the HDMI out from the computer that goes through an HDMI splitter to other TV’s in the building). 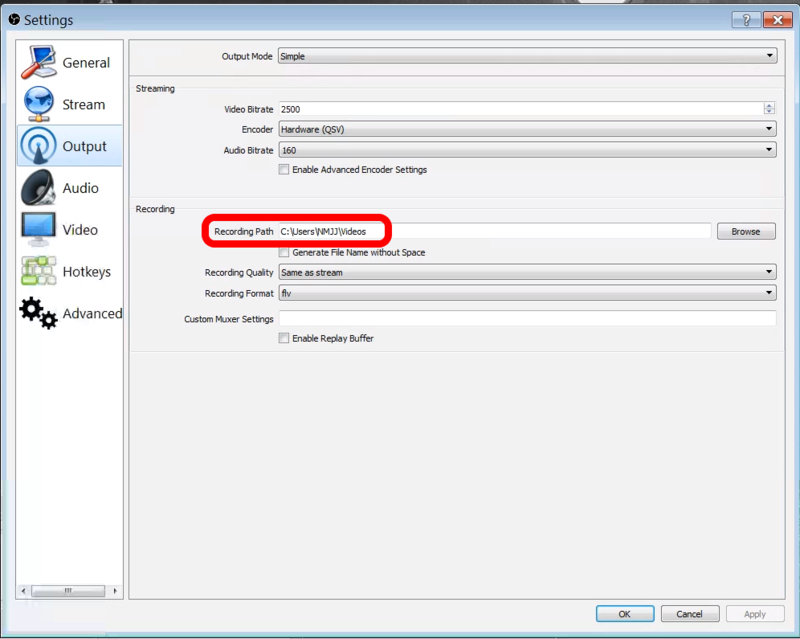 MIC/AUX: Use the slider (see arrow) to make sure the volume is adequate for the other TV’s and YouTube stream. 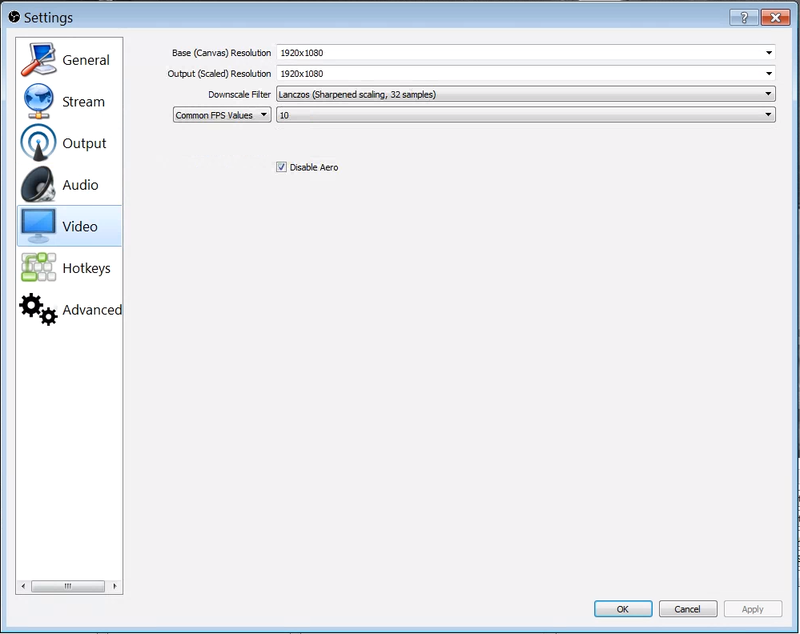 START STREAMING / START RECORDING – You need only click "START STREAMING". 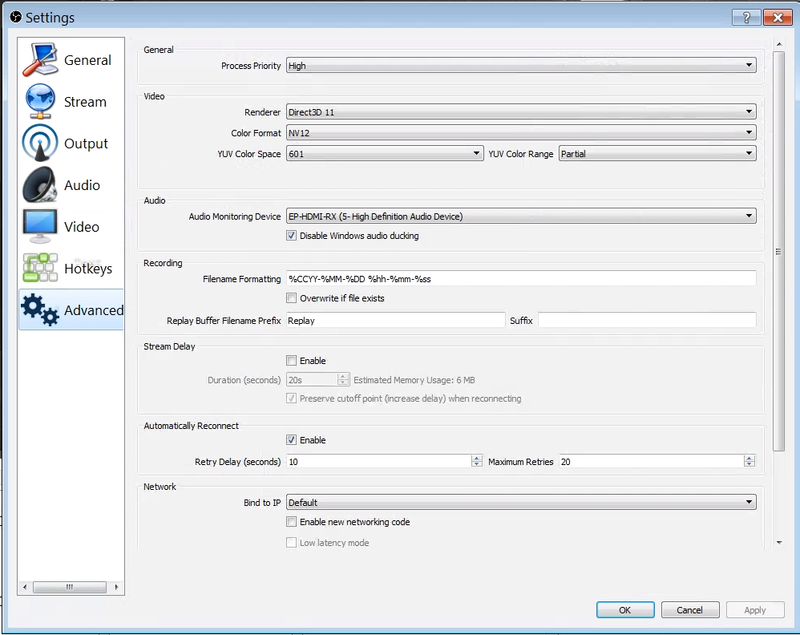 Recording to disk occurs automatically because of this setting: "File > Settings > General > Output > Automatically record when streaming"
PAN & ZOOM: CLICK AND DRAG, anywhere to repositon the scene. Note that you can drag the view to display a corner, then click and drag any corner to resize (ZOOM) the scene. 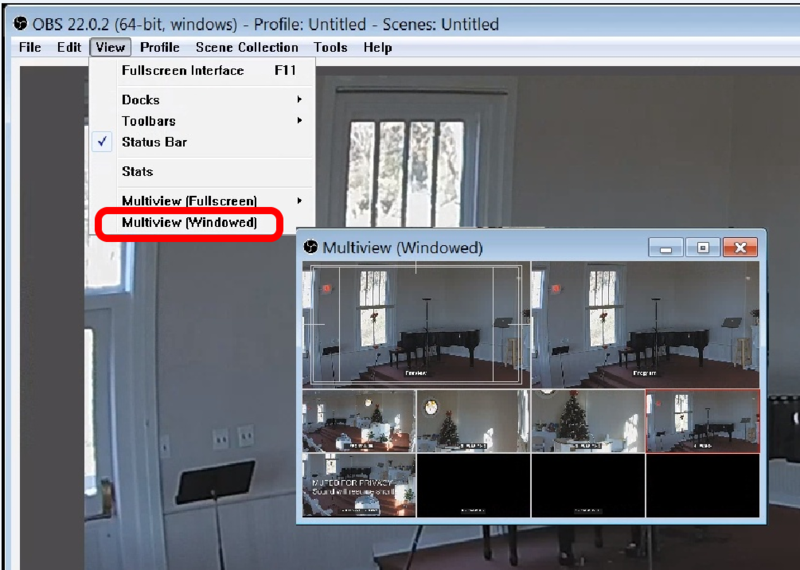 I don’t find any value in displaying this Multiview Preview since the "SCENES" already have well defined titles. 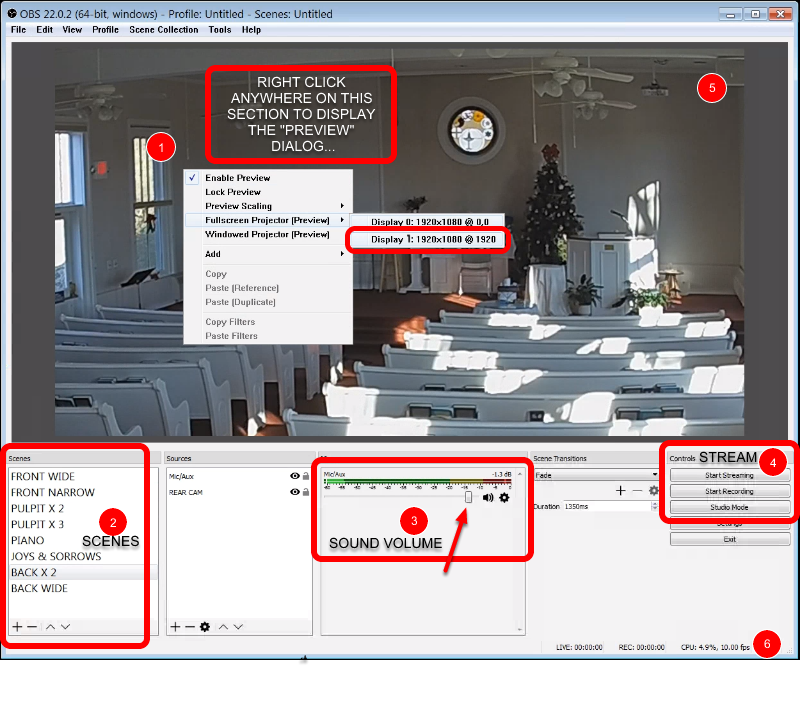 But here’s how to display the Multiview, if you want to use it. 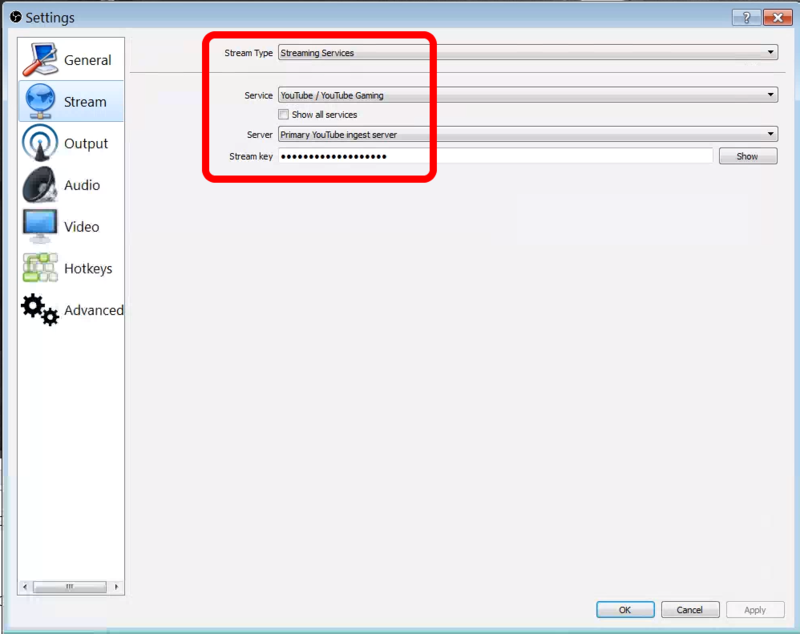 The "Stream Key" is provided to you by YouTube when setting up a YouTube Creator account. Recording Path is where recorded video is stored on the local computer.